only collect things that are "for" my daughter! Her "favourite" collection is her Disney Animators Collection Dolls. They are the sweetest little dolls! The animators of each movie re-drew the characters as toddlers and the wonderful people at the Disney Store translated these drawings into sweet little chubby bellied darlings. 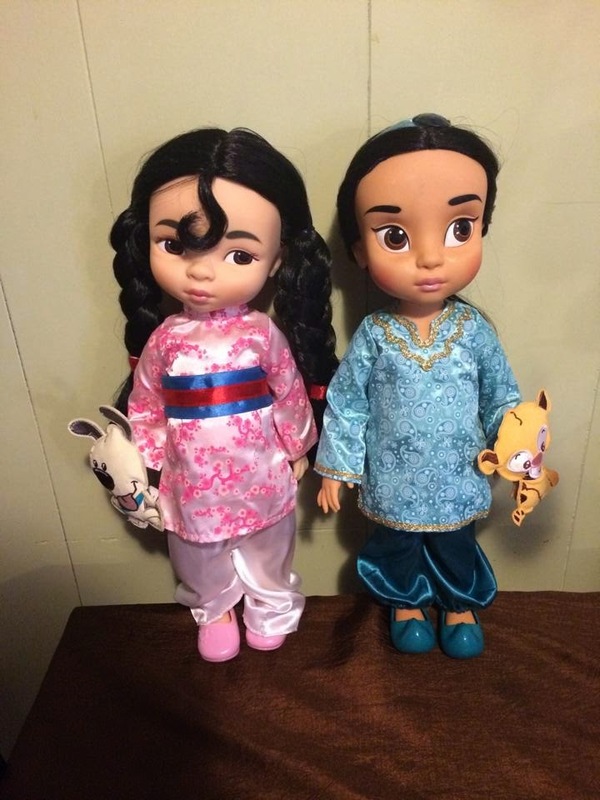 Our collection was started by Disney Movie Rewards, when they listed the Jasmine and Mulan dolls as rewards. I had enough points saved up for about a Doll and a half, when one of my university friends came to the rescue and sent me a whole bunch of points so I could order both! I had been previously sort of aware of the dolls, and was so excited to get two for free! When they arrived I was hooked, so insanely adorable. Hubster was pleased that we now had a Jasmine doll, as she is his favourite princess and underrepresented in the toy market. My plan then became to get each of our favourites in doll form and leave it at that, bahahahahaha! 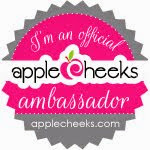 A couple of my AppleCheeks buddies were bit by the bug about the same time as me, but were lucky enough to live near a Disney Store (it is a 16 hour trip for me!). I was perusing the website regularly, and suddenly Ariel disappeared! 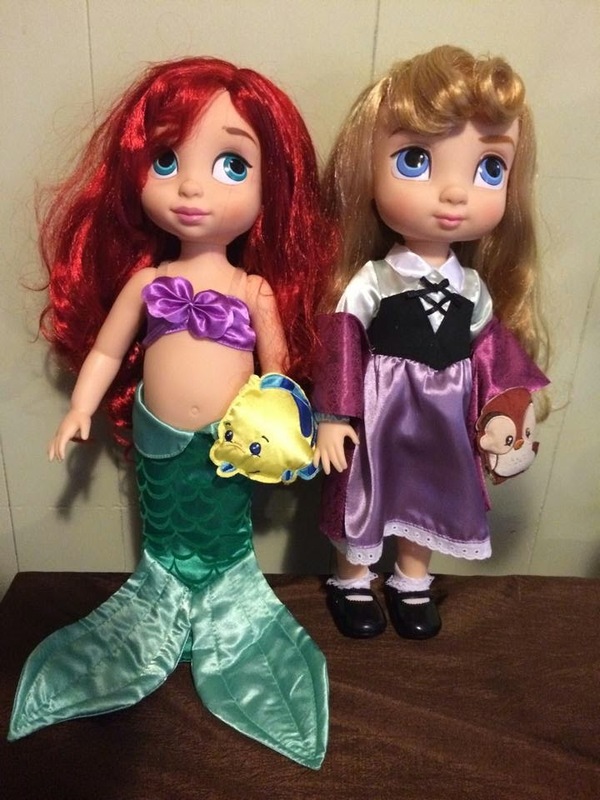 One of my friends was making a trip to the store for her own stock-up and offered to ship me an Ariel, as they were still available in store for market price (as opposed to the mark-up on amazon etc.). So I quickly learned my lesson and the day I noticed Briar Rose (my favourite) sell out online, I snapped her up on amazon for retail price. By then I had pretty much blown my budget on the collection. When I happened into a paid university survey I jumped at the opportunity. They paid in Amazon cards, so I obviously bought more Animator Dolls! So that is how Rapunzel and Merida came to live with us at Christmas time. See the problem is I am a bit of a Animators collection snob! In the second run of the dolls they changed the outfits. Instead of having unique clothing they were all dressed in their ball gowns. Of course this is silly! Why would a toddler have a copy of a dress they were to wear in adulthood (yes I have way over thought this!). The easiest way to tell is that first generation dolls come with a cute stuffed animal friend, which was removed in subsequent generations. 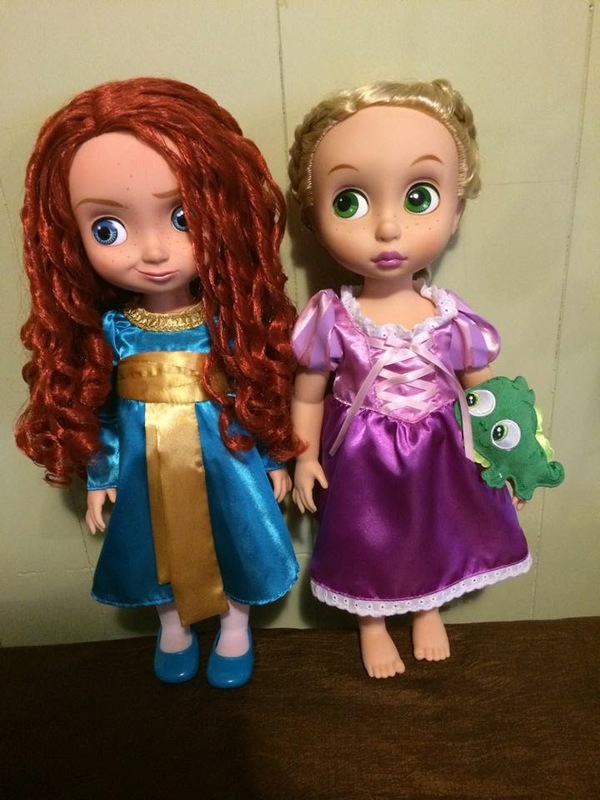 Some dolls remained virtually the same (Ariel, Pocahontas) but many were now less cute. So that of course means if I want to collect Tiana, Snow White, Cinderella or Belle, I am going to have to pay the mark-up, sigh. Now I am sure you look at these and see decoration dolls. It is true that they live far out of the reach of little hands. However she does get to play with them sometimes. I obviously want to keep them in nice condition for her when she is old enough to appreciate them so she gets supervised play. Basically that means she has to ask for them and sit and play with one of us. Luckily her favourite activity is changing out all their shoes, so we often have a little shoe party. 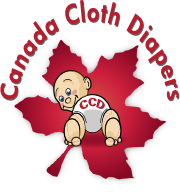 Wow, that turned into a very long blog about dolls! But we all need a little whimsy in our lives right? I love these dolls. 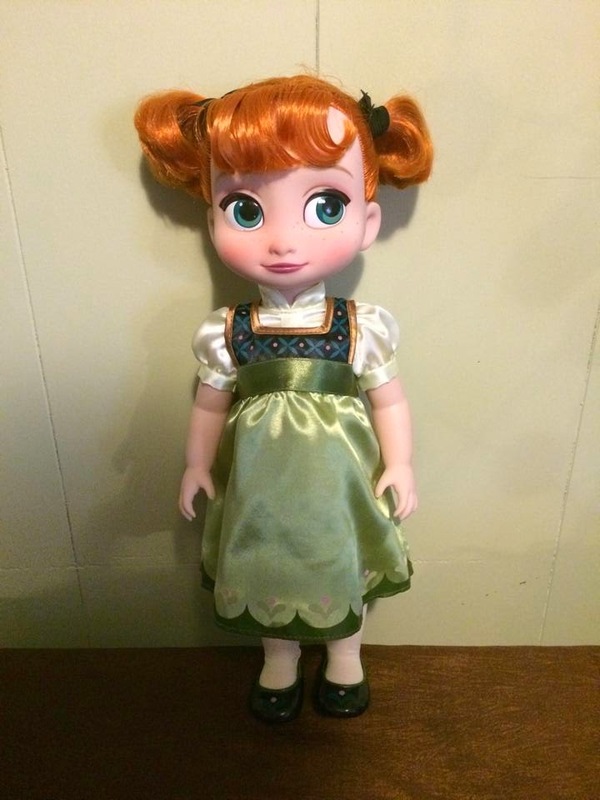 Merida was the first one to me, and I fell in love with her since the first time I saw her little sweet face. Right now I have a shop on Etsy with clothes for them (the name is Little Big Boutique, if you want to search it). Designing clothes for them, brushing their hair... is my favourite-relaxing activity every day after work. I happened upon an undressed 1St release Rapunzel wiyh Tinsel hair. I picked her up for a $1.50. I DIDNT KNOW WHAT I HAD. When I saw them going for big dollars, I sold her for $155. Now I have about 8 of them.